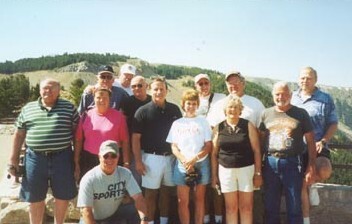 Class of '59 held a "mini reunion" in 2002 in Red Lodge, Montana where Ruth (Graves) Brown lives! I hear they had a BLAST! Click the link below to go to Mike Farahay's website of Mini-Reunion Pics! Great job MIKE! Please fill out the form below if you'd like to update your information, then click 'Submit'. Your information will go straight to Ruth Brown's e-mail! No, I don't need info, but keep me on file! Do any of these take you back?